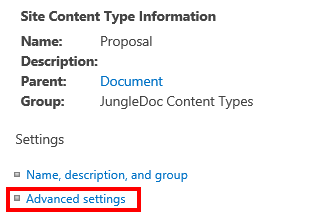 Content types are not specific to JungleDocs. However, you can use content types in JungleDocs to create documents faster. Content types can help you speed up your document creation process when you are building or maintaining a large database. If you need several different proposals to be created in the same library, you should create a new content type for each document type. Content types have their specific columns to store document-specific data. Content types can be nested for easier management because they inherit their columns from parent content types. In this tutorial, you will learn how to create content types. 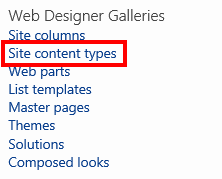 In order to add content types to a library, you must first create site content types. Take a closer look at content type basics and best practice in our blog post. 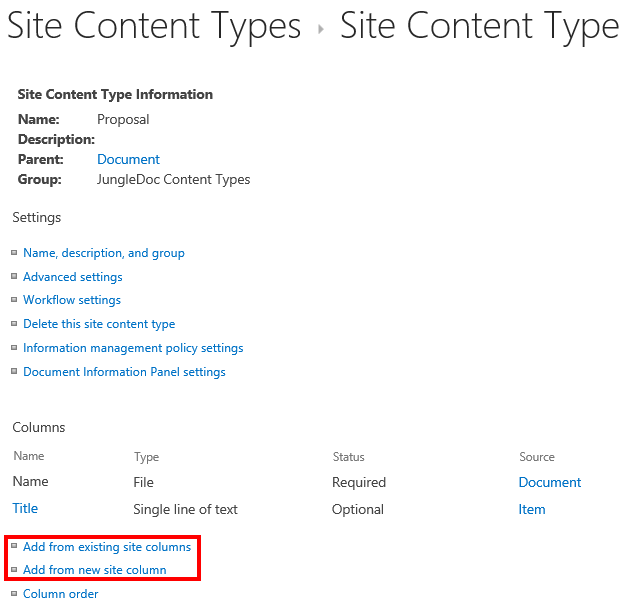 Please note that you should select Document as Parent Content Type if you want SharePoint to automatically assign a Word document as a template for this content type. 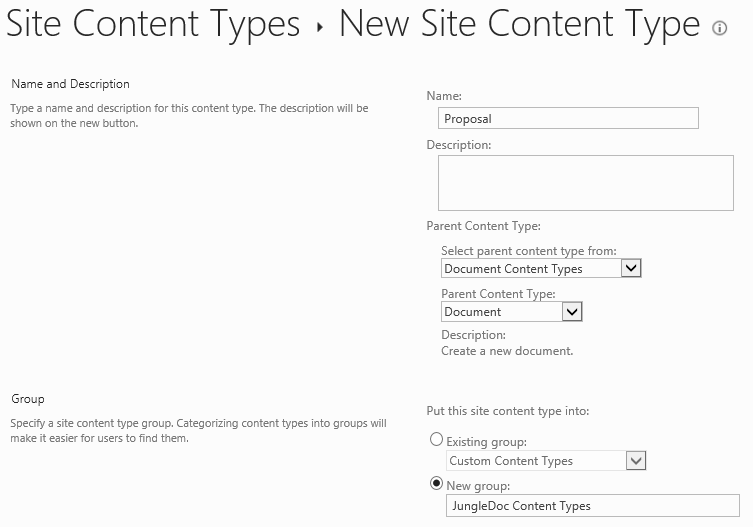 You can either edit that template from JungleDocs or upload a predefined document as a template. Note: we recommend uploading all of your templates into a single library (read why).